Fully Recover from Your Phobias with Valiant Recovery! 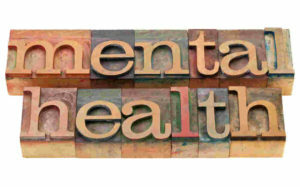 Home / Mental Health / Fully Recover from Your Phobias with Valiant Recovery! Dealing with a phobia can be stressful, and the symptoms of this disorder can be debilitating. A phobia is not a mild but irrational fear, it is something much bigger and much worse than that. We all have certain things that we may be fearful of. Spiders, snakes, flying, heights, and other scary situations may make anyone a little apprehensive. A full blown phobia can alter how you live your life though, and without treatment your condition will usually worsen over time. If you have a phobia then an object, animal, or activity which does not actually pose much danger may cause you to feel intense fear, and often anxiety. as well. 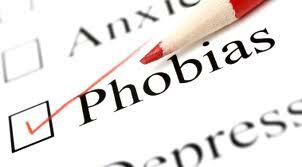 If you suffer from a phobia you know in your mind that your fear is unreasonable, but you can not control the physical and psychological feelings that the object of the phobia causes. Phobia Symptoms and Signs to Watch For. Can Phobias be Treated and Eliminated? Let Valiant Recovery Make Your Phobias a Thing of the Past! At Valiant Recovery we understand how damaging phobias can be, and we can help you get your life back and ease your fears with our proven treatment program and methods. You do not have to live with phobias or avoid certain places and situations. Overcoming phobias can be very successful when you choose the right phobia treatment methods and programs. This makes it possible for you to live your life to the fullest and recover completely from any irrational fears and phobias that you suffer from. You are not alone, many people suffer from one or more phobias, but you can fully recover with the right type of help. Valiant Recovery can help you get over any phobia and back to a normal life.